Lorna and her friend Philly work together in the grounds of a beautiful manor house in the Cotswolds. But even though they are surrounded by family and friends, the door to true love remains resolutely closed. Romance, humour and happy-ever-after endings, the delicious romantic new novel from the Sunday Times number one bestselling author of A Vintage Wedding and A Summer at Sea. 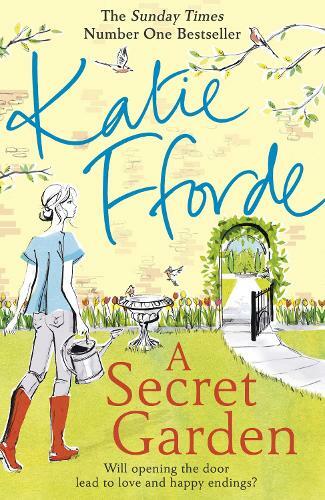 Delightfully enchanting - this is Katie Fforde at her best. Well described characters and a beautiful setting - this was a fabulous read. Thoroughly enjoyable and a definite recommend. Lovely read. Katie fforde is one of my favourite authors. I couldn't put this book down. Looking forward to more books by Katie. Haven't read this book yet. Am taking it on holiday. I'm sure it will make excellent reading.